Some important “Aladdin Friends” also practiced their song this week during dress rehearsal. 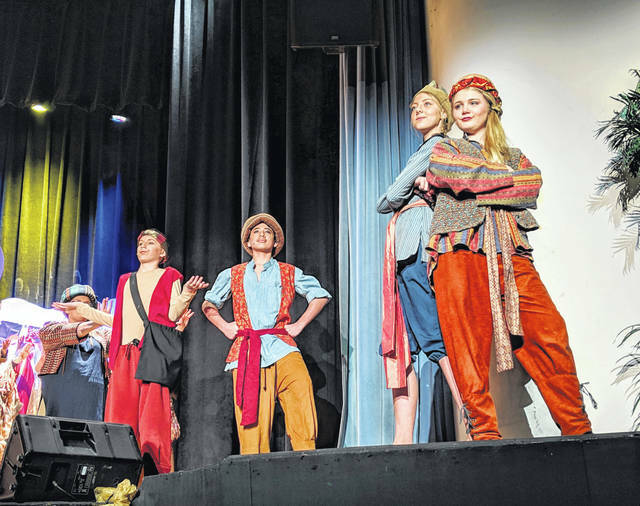 The cast and crew of the Washington Middle School production of Aladdin Jr. are inviting the community to come and watch their show this weekend. Pictured is Shiloh Grim as Jafar using his right hand man Chelsey Dawson (Iago) as a table during dress rehearsal. Isabel Fernandez and Isaiah Wightman (Jasmine and Aladdin) perform “A Whole New World,” during a recent dress rehearsal. https://www.recordherald.com/wp-content/uploads/sites/27/2019/03/web1_1-Aladdin-Friends.jpgSome important “Aladdin Friends” also practiced their song this week during dress rehearsal. 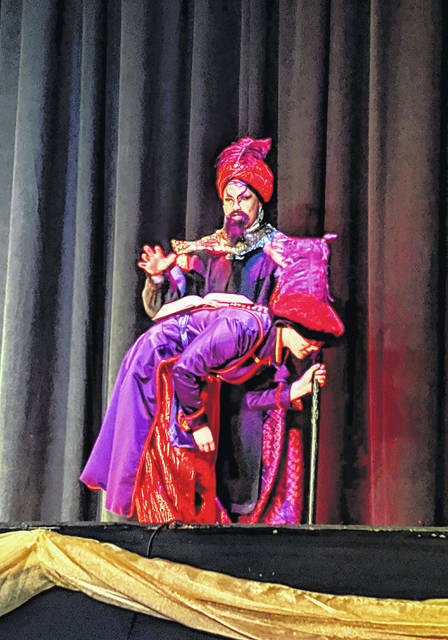 https://www.recordherald.com/wp-content/uploads/sites/27/2019/03/web1_1-Iago-Table.jpgThe cast and crew of the Washington Middle School production of Aladdin Jr. are inviting the community to come and watch their show this weekend. Pictured is Shiloh Grim as Jafar using his right hand man Chelsey Dawson (Iago) as a table during dress rehearsal. https://www.recordherald.com/wp-content/uploads/sites/27/2019/03/web1_1-A-Whole-New-World.jpgIsabel Fernandez and Isaiah Wightman (Jasmine and Aladdin) perform “A Whole New World,” during a recent dress rehearsal.